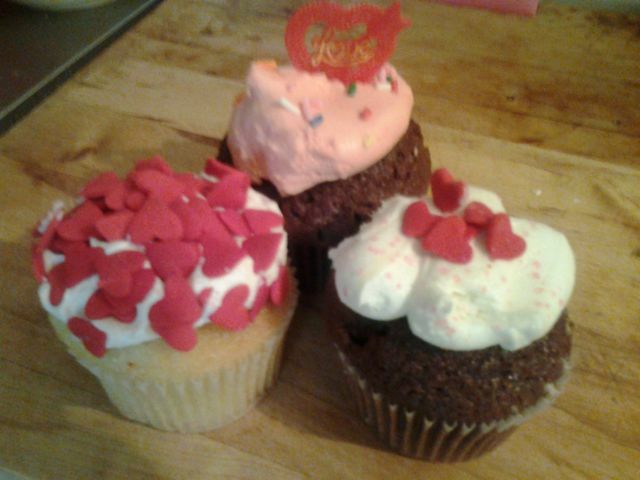 Mine, courtesy of my adorable Mom who went out early in the morning and bought these super cute cupcakes from Something Sweet. A steaming cup of home brewed espresso, the chocolate one with heart sprinkles eaten in segments of deliciousness along with small sips of coffee, and my day is PERFECTION. Happy Love Day everyone, from all of us at The Ajnabee. You are always loved here and never a stranger. This entry was posted on Tuesday, February 14th, 2012 at 11:21 am and is filed under Food, Modern Fairy tale. « Anything Goes on Broadway, as New as Ever!